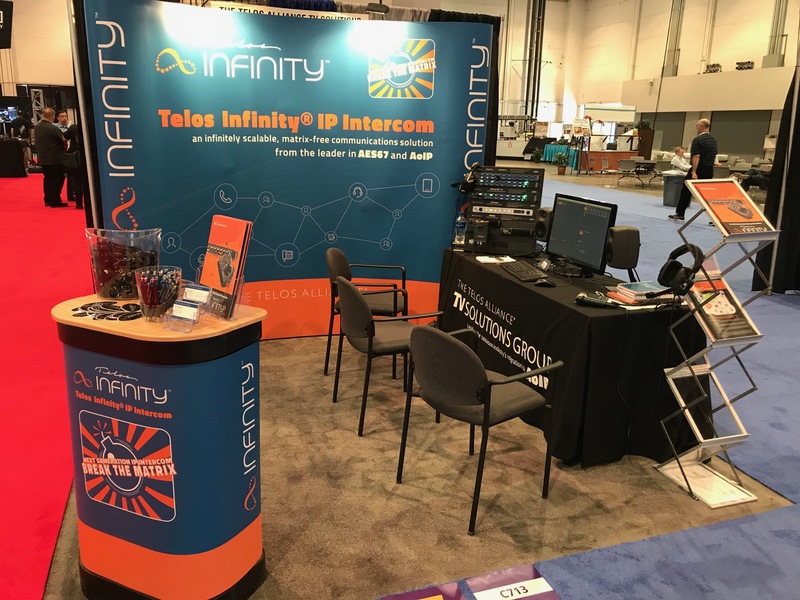 Telos Alliance is live at InfoComm 2018 at booth C713! We normally don't come to InfoComm, but with Infinity IP Intercom, we're appealing to a broader audience beyond radio and TV broadcast. We wanted to showcase our innovative AoIP solutions to end users, system integrators, and A&Es within the professional audio and video production marketplace. If you don't already know about this multi-award-winning product, it's the first in a new series of Telos Infinity solutions that provide infinite scalability and increased functionality in a simplified, cost effective, and more elegant form for distributed IP network systems. “Telos Infinity IP Intercom was first introduced to serve the needs of television and radio broadcasters requiring high channel volume and flexible configuration on the fly. That same scalability and versatility make Infinity ideal for non-broadcast environments as well, including education, security, houses of worship, corporate applications, live events, sports, theater, and entertainment.” —John Schur, President, TV Solutions Group. More than just a talkback system, the new Telos Infinity IP Intercom converges voice communication and contribution audio on a single IT backbone employing the latest standards-based VoIP and our own Livewire+ AES67 AoIP protocols. By eliminating the central matrix, it is possible to create a dynamic, self-healing system built on a system of distributed DSP. This design provides more capacity as the system grows, eliminating previous concerns about running out of ports on a matrix. And, as an AoIP-based system, it enjoys the expected and significant reduction in the necessary cabling and interconnections and creates an attractive value proposition that can be more easily presented to the corner office. Hardware includes rack-mounted Intercom Master Panels and Master Expansion Panels, Master Desktop Stations, and wired Dual Channel Partyline Beltpacks. The Telos Infinity Dashboard software provides access to any networked endpoint. Because Telos Infinity IP Intercom natively supports Livewire+ AES67, it seamlessly connects with the full line of Telos AoIP products as well as those from other supporting manufacturers, making for easy integration into existing analog, AES, SDI, and MADI environments. We hope you'll check us out at InfoComm 2018 and see what all the buzz is about.